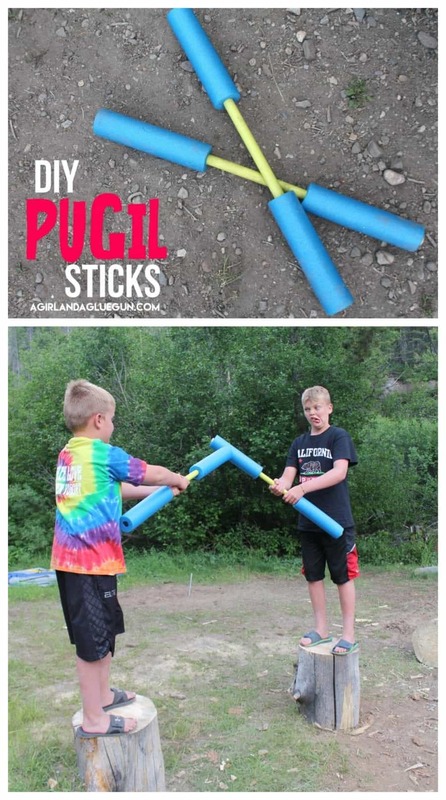 Pugil sticks DIY and camping game! We just got back from camping –and holy laundry pile! This year we played it low key! 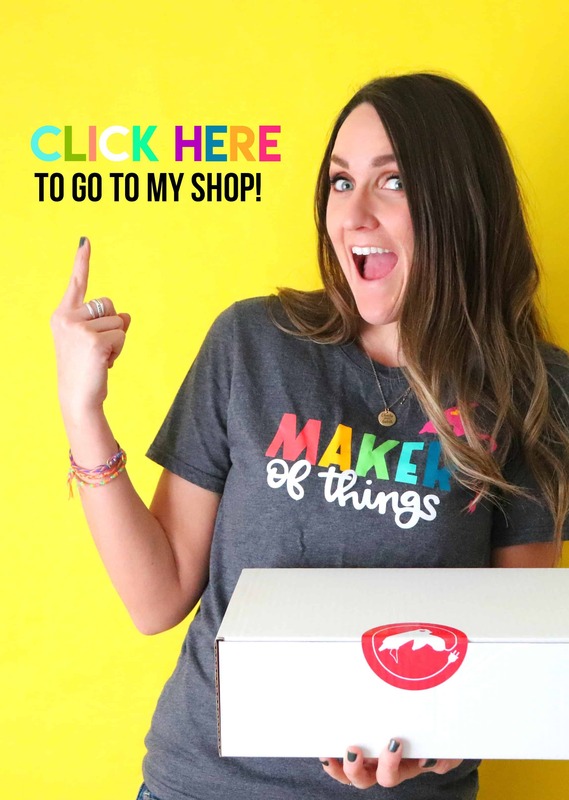 We usually have lots of fun things planned…but life is getting busy and this was the only real “activity” we had planned! Pugil sticks! 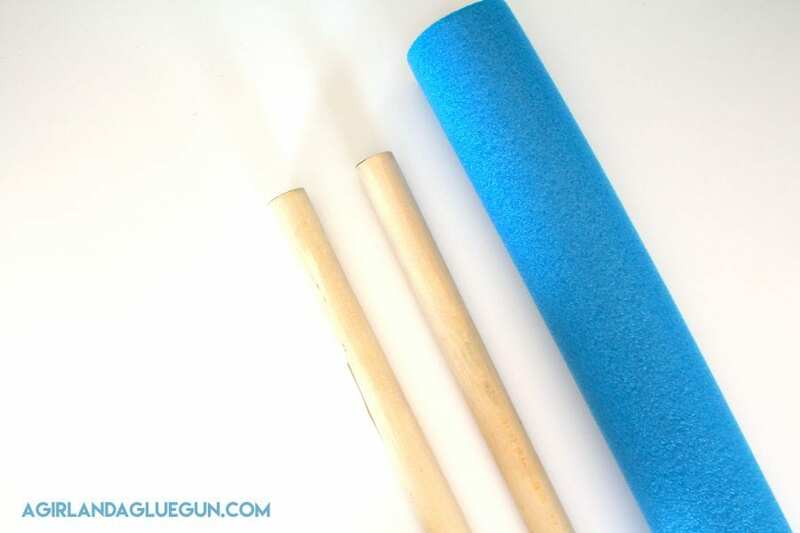 It’s just one BIG pool noodle (walmart had them for $3) and two dowels. I spray painted the dowels…because I craft too much. I just took a knife and split the noodle into 4 equal sections! Then slide on the dowels and glue in place! (I picked dowels that were a pretty tight fit! Then we battled! Ideally…you will want to pick two tree stumps that are in the ground so they won’t tip over. We made the rule that you had to have two hands in the middle …so someone didn’t just hold on the end to hit the person. We also made the rule that the goal is to hit the pugils…NOT the person. First person to knock the other person’s balance off enough to jump off the wood stumps WINS! 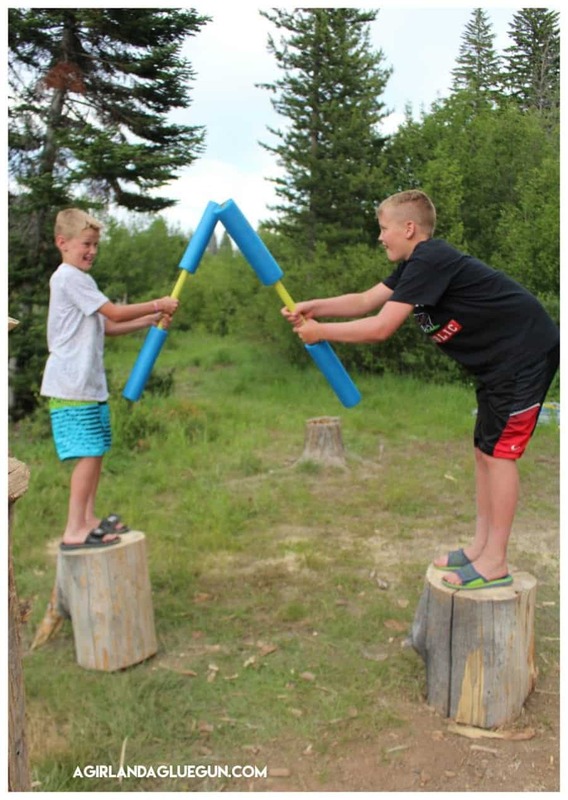 If you are looking for more Camping fun…go HERE!